Summer Days: Sleeping. With animals. Not in that way. We all remember those long idyllic summer holidays that came with the end of a school year: lengthy bouts of sleep, hanging out with friends and generally doing nothing much of anything. That was until our parents forced us into doing chores or even getting a bona-fide job because they were sick of us lounging; probably due to their resentment towards us. Now I am one of the elders, and also resent these little brats who get so long off anything resembling hard work. Sparing a rant, the latest Diary of a Wimpy Kid movie picks up on the summer holiday theme. But is it like that awesome summer where you finally kissed that girl from down the street and completed Streets of Rage II with your buddy on your Mega Drive, or is it like that god awful summer where your mum made you get up at 6am to go to work as a labourer at a garden gnome manufacturer, despite knowing at age 14 that you were destined for far more…? If you’re unfamiliar with the hugely successful Diary of a Wimpy Kid books then don’t feel ashamed, as I walked into the film knowing little about them or the previous films. I knew they existed, just like I know that 50 Shades of Grey series exists, but I never felt the need to read any of them. Maybe I’m not the right demographic for either, being a) over the age of 13, and b) not being a sexually repressed middle-aged woman / inexperienced teenage girl. I’m sure you can figure out which condition applies to which series. Essentially, the Diary of a Wimpy Kid films follow the trials and tribulations of Greg (Zachary Gordon) and his best friend Rowley (Robert Capron) as they go through that difficult late tween, early teen period of their life. We’ve all been there, we can all relate to them to some degree. As mentioned previously, this film squares in on how Greg and Rowley spend their summer holiday: dodging jobs, longing for crushes (Holly, played by Peyton List) and learning important life lessons. The so-called “dog days” in Diary of a Wimpy Kid: Dog Days. And yes, there’s a dog. On screen for about 10 minutes. All actors pull their weight, but don’t go in expecting Oscar nods any time soon. Age has no bearing on acting capacity, as BAFTA and Academy Award nominee Hailee Steinfeld showed in True Grit last year. It’d be safe to say here that the actors are having fun with their part, but it does come across somewhat stifled. Gordon comes across as an introspective and more likeable young Matthew Broderick in Ferris Bueller’s Day Off, or a less comedic Michael Cera in his Arrested Development days. Essentially, all the acting is serviceable, but nothing more. Having said that, it’s the young actors that come off far better from this film than the older cast (excluding Greg’s Dad Frank, played by the always likeable Steve Zahn). The real issues are with the “16-ish year olds”. Both Devon Bostick and Melissa Roxburgh, who play Greg and Holly’s older siblings, really grate. Either the script has called for “stereotypical teenager” or they really hammed up those lines. Also, I know it’s common practice for 20-something year old actors to play teenagers, but come on… Roxburgh looks as much of a 16 year old as Betty White does. Betty White edges out Melissa Roxburgh in the “look 16 years old competition 2012”. The trouble with this film is that I failed to feel much for the course of it. With The Lorax I felt distracted and sometimes bored, with Ice Age: Continental Drift I was entertained and laughed. But here? Well, I was interested by it, and the 94 minutes went fast, but I didn’t ever get past a smile; due to relating to Greg’s story. Or because South Park had done a particular scene exactly the same some years ago. The film typifies “middle of the road”. 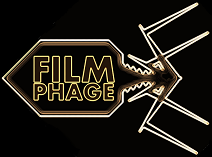 But then again, the film’s probably not made with me in mind is it? 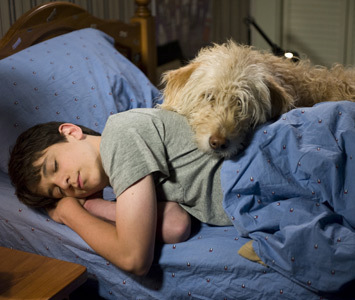 Diary of a Wimpy Kid: Dog Days is in fact a lot like those long and lazy summer holidays of our youths. They’re fun enough, and they’re soon over, but what did we actually achieve in them? Anything? When it boils down to it, the film comes across as a feature length Nickelodeon movie (or at least, how I remember Nickelodeon in the era of Clarissa Explains It All and Rocko’s Modern Life), or a Malcolm in the Middle aimed purely at the pre-teen, early teen market. We can all relate to the movie, but I think most will be taken from it by the younger viewers who want to see their book / film friends going on another journey. Me? I think I’m going to dig out that old games console and boot up Streets of Rage II again and relive my misspent youth. What did I achieve in those summers? Getting AWESOME at games and developing the fastest thumbs in the West. And developing a loathing for garden ornaments. This entry was posted in Review and tagged Betty White, children's book, Diary of a Wimpy Kid, Diary of a Wimpy Kid 3, Dog Days, Ferris Bueller's Day Off, Jeff Kinney, Robert Capron, summer holidays, Zachary Gordon. Bookmark the permalink.